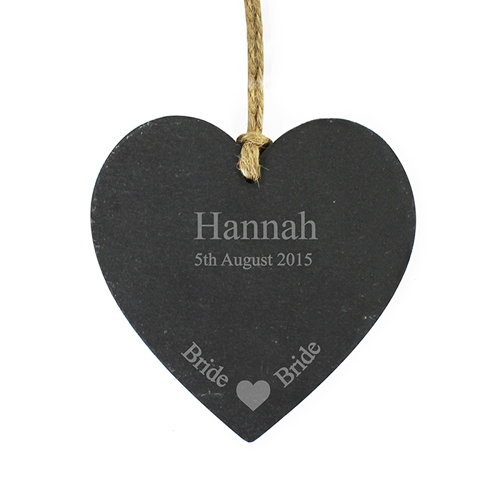 Personalise this Bride Slate Hanging Heart with one line of 12 characters and one line of 20 characters. The design features a sweet heart motif at the bottom of the slate product, with the fixed text 'Bride'. Personalise with one line of 12 characters and one line of 20 characters.